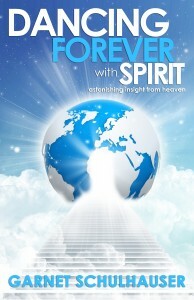 Dancing Forever with Spirit continues the saga of the author’s spiritual awakening that began when he was confronted on the street by a homeless man named Albert who turned out to be a wise spirit in disguise—an emissary from the spirit world, as recounted in the author’s first book, Dancing on a Stamp. These nightly escapades with Albert were designed to rouse us from our callous stupor by displaying some of the inexcusable abuse humans inflict on Mother Earth, the other creatures on our planet, and on other humans, with the hope that we will renounce the dark side of humanity in favour of spiritual enlightenment. Dancing Forever with Spirit is a call to action for humanity—a plea from Spirit for humans to wake up and recognize the harm caused by their actions and neglect, so they can focus their energy on helping themselves and everyone else make the transition to the New Earth.